Be still my polka-dot loving, metallic obsessed heart; could these two be a more perfect pair? 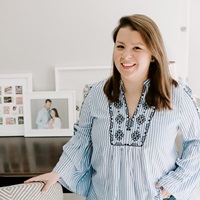 A little tiered hem and a peter pan neckline make this Modcloth top absolute perfection; and the Caitlin Wilson pillow exudes the same level of cuteness in home decor form. One of each please! Kitchen Styling. Shower Sneak Peek. 7 Responses to "The perfect pair." I love that top! I’m on a major polka dot kick right now, but I haven’t added any metallic dots to my collection! I think I need to get on that! I literally just went, “ooo…”. I think I just found some new items for my wishlist! Stop those are TOO perfect together! I love it! Love both – especially that top, peter pan collars and polka dots are my fave! I love that pillow. The gold dots are person! What fabulous picks! I love them together, I love them apart. I am all for dressing up like my home and vice versa. 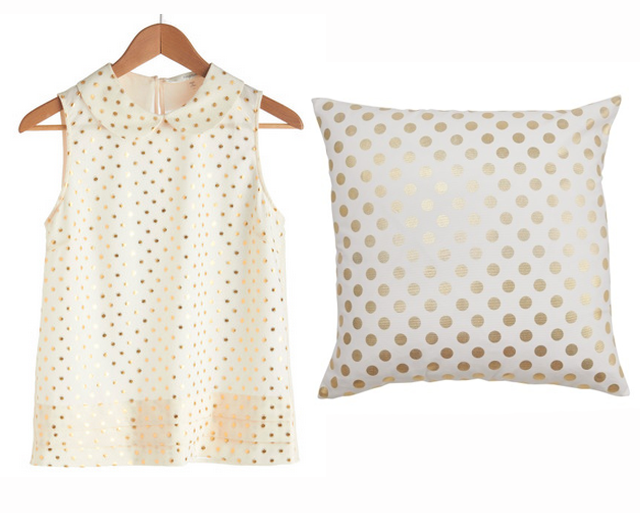 And I love polka dots in gold for this season! Haven’t seen a post for a bit so I hope you and yours are okay and safe in Boston. Thinking of all of you!